I hope you are having a nice week. After letting a few things off my chest yesterday, here I am again, back to duty of sharing super pretty things with you. Thanks so much for all your comments to yesterday's post, I felt so lucky to have readers who share my opinions. I will take my time to reply them one by one tonight. I haven't inserted a Summer 2015 tab yet but in case you missed, I already reviewed Dior (eyes & face and nails) and Chanel (eyes, nails and face) Summer Collections. Today I am starting with the reviews of fabulous Tom Ford, yes, he is isn't he? 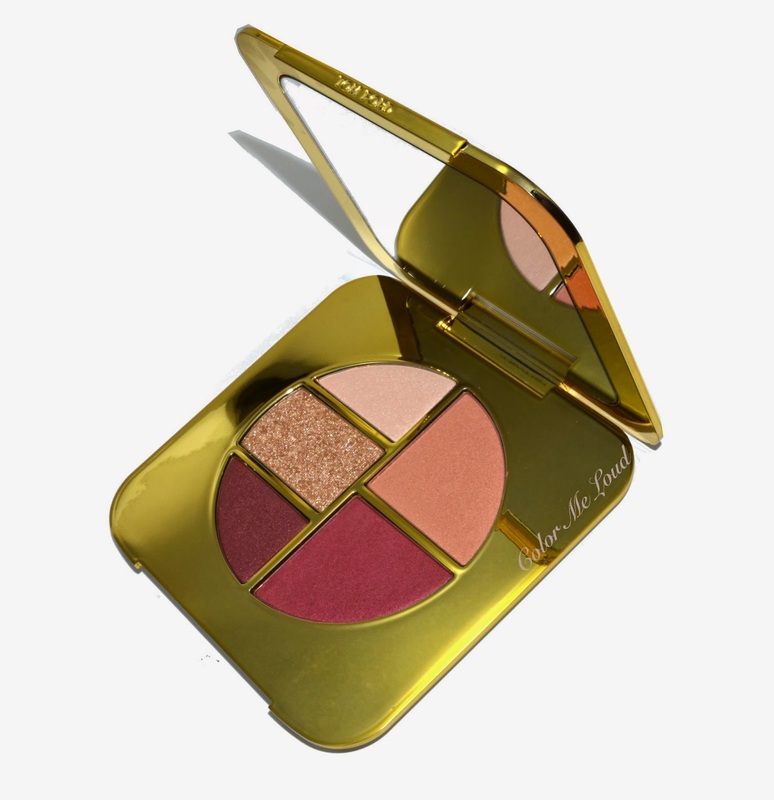 Tom Ford Summer 2015 Soleil Collection consist of an Eye & Cheek Palette, four eye shadow duos, four sheer lip colors (two of them being repromotes), a cream cheek color. There are now also smaller sized bronzers in the existing shades Gold Dust and Terra as well as a body oil. This year's collection is larger compared to last years which means, yay, more Tom Ford! I would like to start my reviews with Tom Ford Eye and Cheek Compact in Pink Glow because it looks like the "hardest to get" item. Pink Glow was sold out very fast at Selfridge's Website. A dear friend picked it up for me in store in London (insert many special thanks here!). I don't know if the stocks of the stores still last. In the States, I see that it is on back order, in Germany it is not released yet, so if you are eyeing it, better check it out from time to time (now Douglas also has Tom Ford LE items!). For those who can't make up their minds, here are my thoughts on Eye & Cheek Compact. I also include lots of comparison swatches, so if you missed it, you may attempt to reconstruct it from other permanent Tom Ford products. This year's compact come in a similar white and gold case like last year's Unabashed Palette (reviewed here). The difference is it is inserted in a white pouch other than a brown one which fits to the white theme of the collection. The pouch might get dirty though but I believe they can be washed after all. 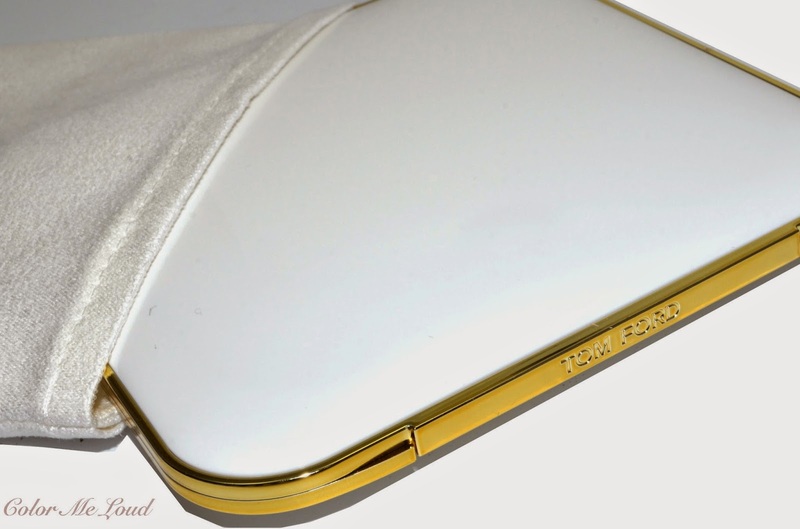 The sleek minimalistic design of the compact with the ultimate luxurious touch of gold, it is everything! I like the white and gold even more than the brown and gold packaging. I can just sit down and watch Tom Ford make-up, does that make sense? If you can stop staring and actually start using the palette, you get a generous 13.5 g of product split into five pans. Top Left (#1): A very light pink (almost white) with frosty finish. I usually don't get along well with frosts but this one is silky to touch and very finely milled. It can be used subtly as a highlighter over the cheek bones, under the brow or as an inner corner highlight on the eyes. I think this shade makes the whole palette very versatile and it is great to mix with the other shades to make them lighter. I went as far as applying this all over the eye lid and it didn't emphasize any lines or structures, which frosty eye shadows usually do. I want all the frost look like this one! Love this shade. Middle Left (#2): This is a golden glitter shade, goes smooth and adheres well over the others once applied with fingers. To me it is a pity that they reserved one of the big pans for something I don't reach for that often. Also all the eye duos have a glitter shade and two of them look very similar to this one, so, well, not necessary but still pretty. A satin mid-tones shade instead of the glitter would make the whole palette more versatile I think. Bottom Left (#3): Wow! I mean look how gorgeous this one plays with light *rolls over and dies*. It is phenomenal. A beautiful mid-toned pink plum with satin/shimmery finish which, surprise surprise, becomes very wearable on the eyes. 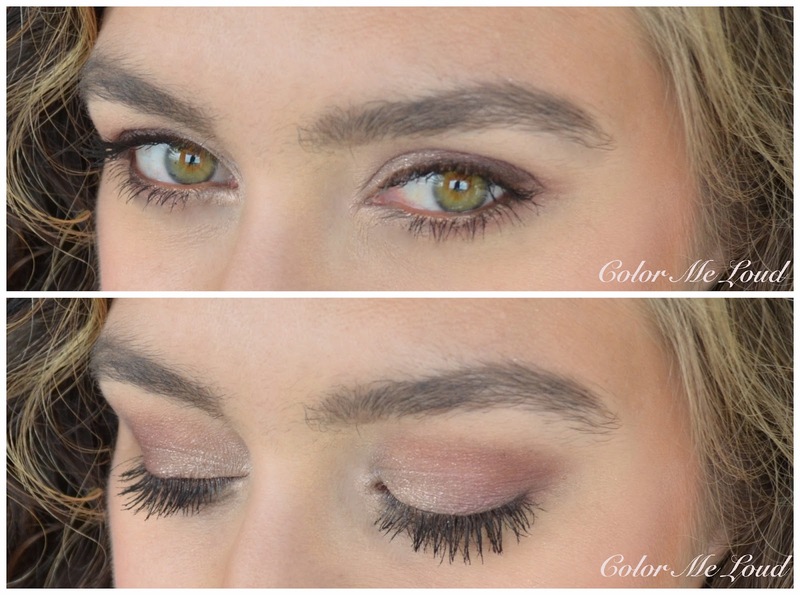 This one can be layered with shade #1 for a mid-toned pink like I did for the look below. Or you can apply it all over for a super pretty bunny eye. It is up to you. It is one of my favorite shades from the palette so far. Top Right (#4): One would think that right side of this palette is for cheeks and left side for eyes but don't let this stop you from trying new things out. I like #4 mostly on eyes. Since all of the shades in this palette are very pigmented, they are good for eyes or cheeks alike. #4 is a beautiful light to mid toned rose gold. It is super pretty on the eyes too. I like applying it over a blush as an extra dimension or all over the lid as an eye shadow. I used it below over the crease to blend the plum (#3). #4 is very versatile. This one is another favorite of mine. Bottom Right (#5): It is a plummy pink with satin finish. I really like the shade on the cheeks with a light hand. I think this one would be too pink for many to apply on the eyes. It is a little bit of a let down that it is so close to #3 in a way. I wished we had another tone here to make the whole composition more versatile, like a pink coral. Still super pretty and nicely pigmented. I think one of the strongest points of Tom Ford Eye and Cheek Compact Pink Glow is that you can go very subtle and feminine with it or you can really apply everything to its full potential and get lots of color. This is great because the palette will be loved across lighter and deeper complexions. Below I applied #1 on the inner corner and below the brow bone, #3 on the outer corner and on the crease, #4 over the crease to blend and padded some #2 over the lid for some glow. Then let's add the cheek color #5 on the side of the cheeks, #4 on top for some more glow. I also used #1 as a highlight with a blending brush over the high points of the cheeks for the look below. It looks so bunny pink in the pan but it is so wearable isn't it? I was surprised myself, hah! Here are some comparisons for your reference. 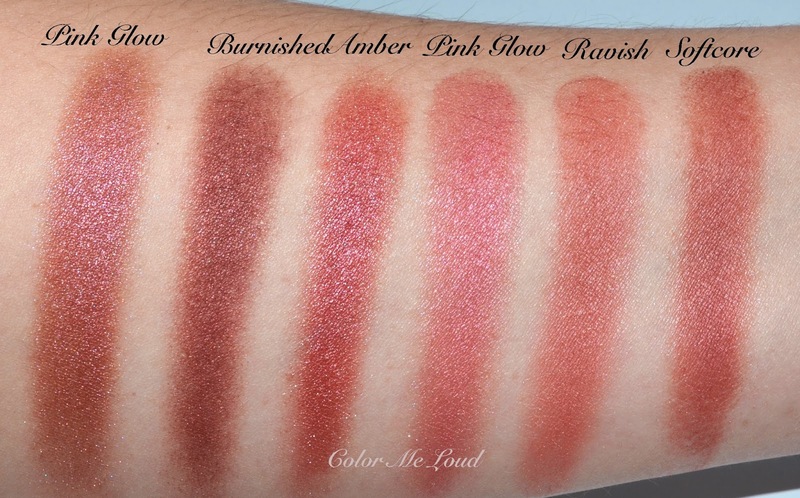 Below Pink Glow #3 (left most) and Pink Glow #5 (somewhere in the middle) are compared to two shades of the discontinued beauty Burnished Amber. The second shade is quiet close to #3 but has a little more red, less pink. Tom Ford Cheek Color Ravish and limited edition duo Softcore (reviewed here) are both warmer than Pink Glow #5. On the lighter side of things, #4 of Pink Glow is very hard to dupe. I couldn't find anything similar. Gosh, #4 rocks, it is so pretty! 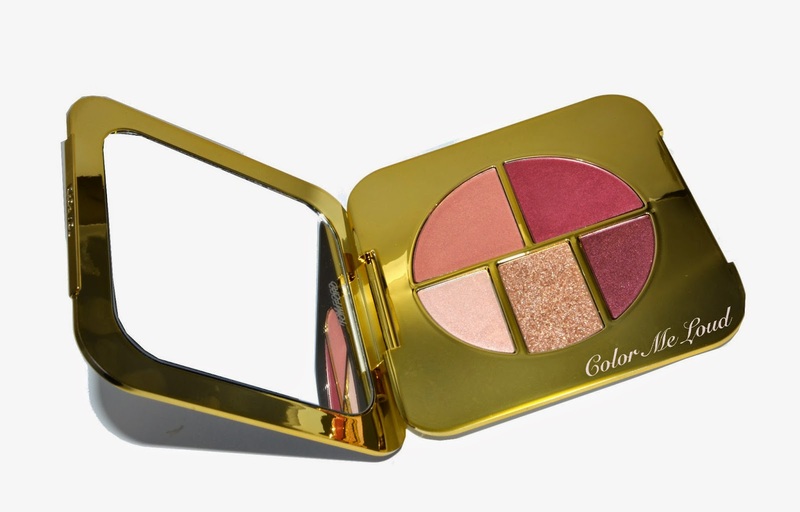 One of the cheek color from Unabashed Palette is warmer, more golden. The highlight shades of Stroked and Softcore (reviewed here) are both lighter and warmer. #1 of Pink Glow is quiet light compared to those. That said later on I checked it with the lightest shades from Seductive Rose and #1 closer to that one. The pink shade of In The Pink (a limited trio released two years ago, reviewed here) is cooler than Pink Glow #4 and deeper than Pink Glow #1. Here are the celestial shades compared. 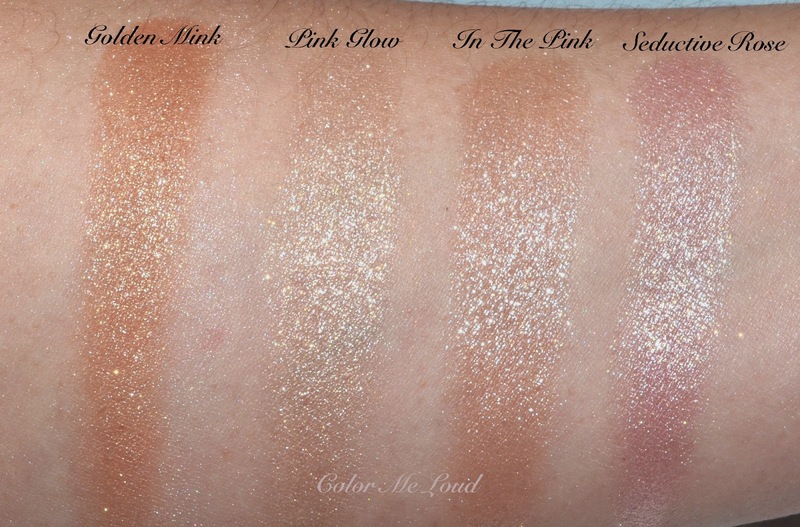 Pink Glow #2 is lighter and warmer than In The Pink and Golden Mink as well as Seductive Rose (reviewed here). By the way you can find all the eye quad swatches at my series A Comprehensive Guide to Tom Ford Eye Color Quads here. Seeing that my eye looks photos have improved, I am considering to go over these and post once more about all the quads. What do you think? Would you like to see more looks with those? Here is one more picture to show the world how pretty Pink Glow is. This year's pink/plum theme is right up my alley but now that I am using the palette, I see that it is more versatile and wearable than I thought. Also the shades are nicely pigmented (great for deeper complexions) but controllable at the same time (read: fair ladies will like it too). Only wish left to be fulfilled would be to replace the large pan celestial shade with a more versatile color and the shades #3 and #5 could be a little more different than each other. All in all big love though. 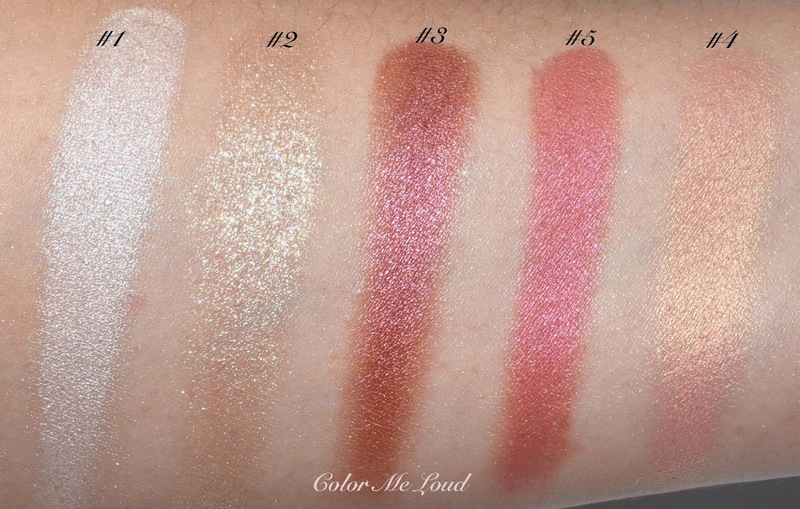 You can see the swatches to full collection at Linda's blog Silverkis here. 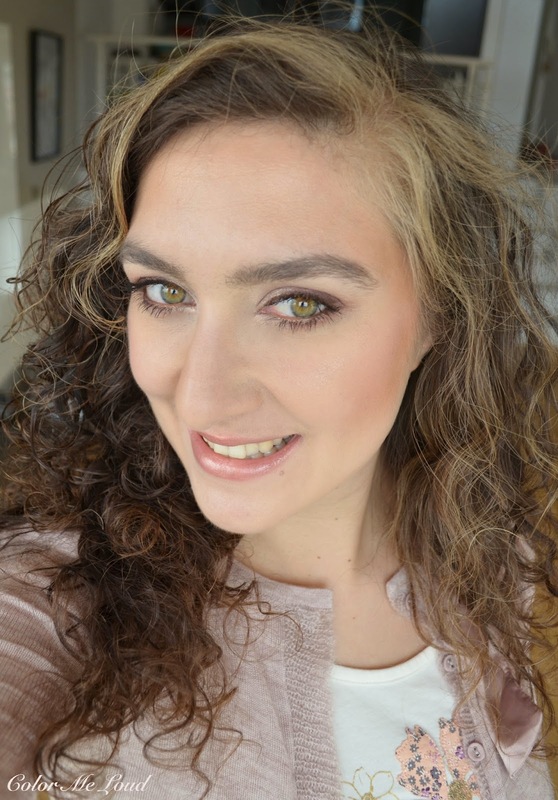 Final thoughts: Tom Ford Eye and Cheek Compact Pink Glow gives what it promises, a pink glow! On the eyes, on the cheeks, it is super pretty. Although it looks like a tone-in-tone theme, it is more versatile than that. Super nice but easily controllable pigmentation makes it wearable across different complexions too. Although Pink Glow is expensive, with 13.5 g of product, it is a good value for money. Remember to mix and match on eyes and cheeks, I can see each shade (other than the glitter) work for both purposes. Thumbs up! Are you eyeing tPink Glow or have you caught one already? How do you feel about celestial shades, can you wear them to work? This is the deal: I ordered this from Neiman Marcus as soon as it became available. But then I thought... That frost shade is not going to get touched. The glittery shade that, as you well point, uses the bigger pan, won't get used either. The champagne-y highlighter... Neither. So went and just cancelled the order. And you know what? I don't regret it. The lips, three were re promote. Only Rose Solei is new. And the duos, only Black Oyster is new. So I only end up ordering Paradiso. I really wanted the duo that has the blue eyeshadow, but since I already have the cream... I might order the peach duo. Not sure. Absolutely stunning! I am really liking all these variations of pink and I am not even a pink person! The Tom Ford summer palettes never really appeal to me, but I have to admit to the beautiful tones of this one. Also gives me a tiny tinge of teh sads for purging Burnished Amber, but then I realize these very reddened tones are not very complimentary on me. I especially love how you are wearing it on your eyes! These tones are deliciously beautiful on you, Sara. This is a beautifully put together palette. 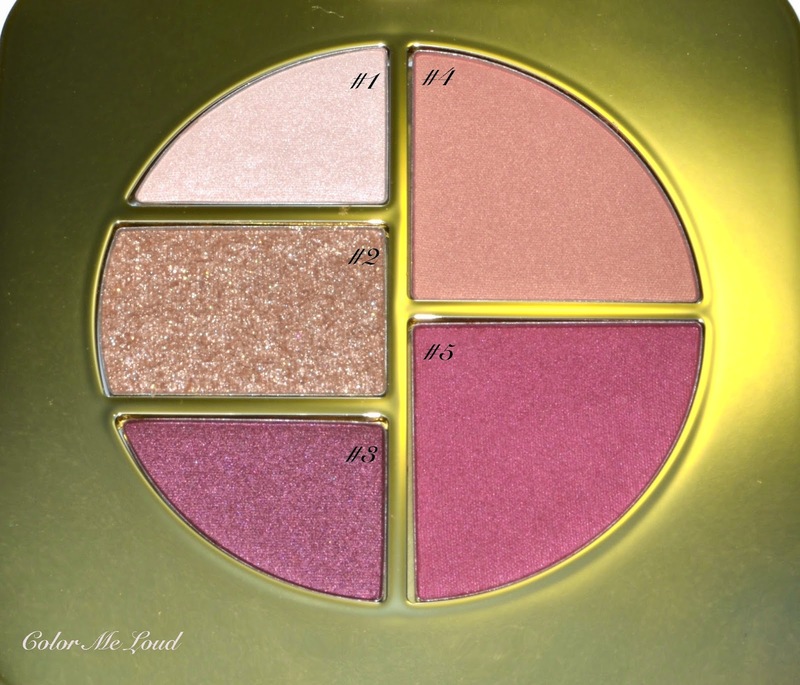 I actually love, love, love the idea of #4 as an eyeshadow shade! I would rarely use shade #2 (the glittery one), so this is a pass for me. That said, it is a beauty and I'm glad it's quite versatile. Before I go, I must ask about what the color is on your lips! It really compliments your skin tone. I wish TF comes out with that #4 blush in a single pan cause I would buy that without thinking :)) I skipped on this cause the only thing I liked is that blush, everything else looks too shimmery for my liking. This looks so lovely on you. I keep revisiting my TF counter, but I've yet to give in to this one. I keep thinking how I'd resemble a sparkly bunny with pink eyes if I bought this one. I must admit, not buying this one makes my husband a little happier. Actually, any time I don't buy more makeup makes my husband a little happier. I passed on this one because I have a hard time making pink shades work on my eyes (too much pink in my skin already). I would buy Pink Glow #4 as a standalone item though...it's STUNNING. I have passed on this whole collection-these shades wouldn't suit me at all sadly. But I love the packaging!! It's interesting-- the cool girls are not that able to wear it. And neither are the warm girls. It looks lovely on you so I guess it must be for those of us who have a more natural skin coloring. Because I can wear it too. I don't wear glittery eye looks at all, but for me the gold shade is subtly brightening. I love the whole palette actually. You've just convinced me to change my mind and purchase this palette! My eyes are the same color as yours, so if it works on you, it'll work on me, too! Hi Sara, thank you for the link love as always! :* I LOOOOVVVEEE the eye look you created here!! So soft, and so incredibly pretty!! I think this is my fav yet! Lovely post Sara!! I never thought to use Shade #1 as a highlight, no idea why as it would be perfect on my skin tone. I tried using #4 as a highlighter and I looked horrific. lol. I will try it on the eyes next time! I got mine few days ago:-) I love it. I also found the one from last year. yay! I can see your point about the usability of the palette. If you don't like frosts, glitter and if you don't like that highlighter shade (which I rather use as an eye shadow) than you definitely can't justify this palette. There are two new lipsticks though, Skinny Dip and Rose Soleil. Skinny Dip is very sheer. I really like Rose Soleil (which I am wearing today) but if you like more color on the lips, both are not for you. I have to mention, I like Paradiso and Sweet Spot is like holy grail peachy orange, so pretty. I am going to review the peach duo tomorrow, maybe wait for it to see how it looks after all. The same here, I rarely wear pinks but these are really so pretty! I was trying to warn you when you were selling your Burnished Amber, I said "nooo" but I know what you mean. If you won't use something or if it is hard to make it work, I would rather purge it and get something I like more. There are many colors which look fab on you, so why waste time on those which you don't like. I am sensing some Tom Ford fever in you recently. Be careful, it might be very dangerous lol. Oh yes #4 is a very interesting shade, eye, cheek, you name it, would work everywhere, so pretty. If you don't like glow and shimmer, then probably this is not so much for you, you are right. #4 is so stunning. You are right! If you have redness on your complexion, you need a good amount of concealing and base perfecting to make these work. Then it is a lot of work after all so I can understand you'd rather invest in something else. Hahaha our hubbies and their make-up phobia ;-) Mine also gives me the look when I was buying the 100th brush in Japan haha He doesn't understand lol. we are working in team to make you crazy, each day another teaser! I also took out mine from last year and enjoying both at the moment! I hope you like Pink Glow as much as I do. Yes we are somehow mentally blocked (me too) as if right side should be cheek left side eyes. The idea of the palette is really to mix and match. #1 makes a great highlight, #4 makes a great eye shadow :-) Let me know how it works, #1 was great on my cheeks once lightly dusted. I think if your eyes and complexion are similar to mine, you can't go wrong with it. Let me know how you like it after you use it. That one might be close. I will check for you once I am back home. Yay! Finished PhD?? Wow, congratulations! You definitely deserved a treat. Having written a PhD, I know how hard it is. Can't wait to see your FOTD with it! I'm not too upset about this one not working for me. I'm almost certain there will be another collection in the fall from Tom Ford. The first time I went to the Hakuhodo shop in Tokyo my husband tagged along, didn't buy much. At the end of the week, my daughter and I found time to go back alone. I spoiled both of us with brush purchases! The Japanese brushes really are so well made. Sadly I don't...I sort of ignored Moody Blooms because my wallet was still reeling from Alluring Aquatics! It does look very similar, and I've seen Urban Decay X listed as a close dupe for it, so maybe I'll check that one out. Thanks for the suggestion! *_* even if I told you I skipped everything from this look - I might just have fallen in love with this pretty baby! LOL I know it is pretty. Wish you much luck with that! Ooo where do you live? In Japan? Haku Shop in Tokyo is where I was almost loosing my mind. My husband was checking some catalogue. In the end the women in the shop said that he was one of the "very patient" ones they had seen LOL. No, I don't live in Japan. We were just there on holiday this past December. I live near San Francisco. If you ever find yourself here in California I would be happy to meet you and show you around. I was going to pass on this palette because I hardly ever used the Unabashed palette from last year, but these really are my colours. I saw it on Le Bon Marche Rive Gauche website two days ago and succumbed to FOMO. And looking at your very beautiful look I am so glad I did!!! I loved this review. You have hit every, single point I would like to be reviewed. Swatches, application, different options & uses, different "looks," analyze textures, photos are clearly labelled, suggestions different ways to use, comparisons- but not overboard, WHOLE FACE photos (because it's so important to see the looks "in context"). Tom Ford Beauty is my current addiction. I would LOVE if you did more reviews, as you offered, on the shadow quads. Photographs, "FOTD," application suggestions ! I get compliments on my eyes, even from strangers, EVERY SINGLE TIME!! Even in a "casual, daytime look" -maybe just a sheer "wash" of color- a dab of the sparkle "works" to up the look from commonplace to "something special that you can't quite define." I really love your blog in general. I THINK that English is not your first language. If that's true, then I'm even MORE grateful for your reviews because it's probably a lot of extra trouble for you to write so I can understand! I'd be happy to read read your reviews of every single Tom Ford Beauty product. You have great input even on products I think I know well !! I was once in San Francisco, such a lovely city!